The BEEHIVE project was selected for funding in 2016 under the Erasmus+ programme, Key Action 2: Capacity Building in Higher Education (CBHE). The CBHE projects aim to support the modernisazation, accessibility and internationalization of higher education systems and institutions based in the so called Partner Countries. The CBHE programme is built on the achievements of the Tempus, Alfa and Edu-link programmes. More information on the CBHE projects could be found on the website of the Education, Audiovisual and Culture Executive Agency. Varna University of Management initiated the BEEHIVE project by building on the lessons learnt and the success of the Tempus IV project Leading and Managing Change in Higher Education (La MANCHE). The latter was coordinated by Varna University of Management and involved 28 universities in 10 European countries including Armenia, Belarus, Georgia, Moldova and Ukraine. 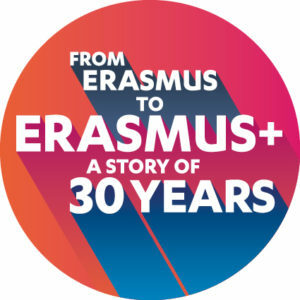 In 2017, the students and youth of Europe celebrated the 30th anniversary of the Erasmus programme. The Erasmus+ programme is considered one of the biggest achievements of the European Union that makes a real difference and goes way beyond its borders. The Erasmus programme that started in 1987 as a student mobility programme with only a limited number of mobile students in Europe has seen a tremendous growth. Up until 2017, more than 9 million beneficiaries have been able to learn, study, teach, travel and grow through Erasmus+. Adding a plus to the Erasmus in 2014 meant not only more funding allocated to the programme, but also more countries across the world to get exposure to the programme. Here you can read all about the remarkable Erasmus anniversary in 2017 and the countless pluses the participation in Erasmus+ could bring to students, higher education institutions and communities across the world.